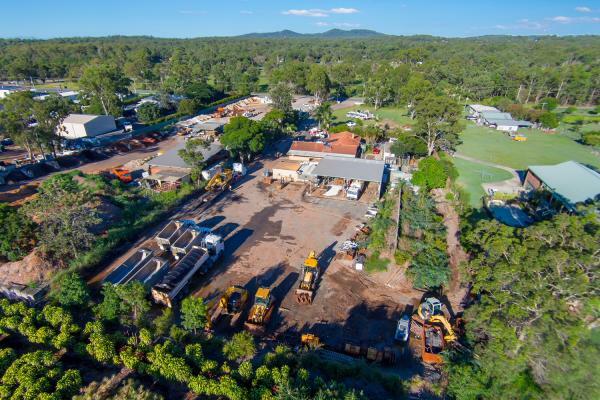 Brancatella Plant Hire has hit its 45th year in the construction industry but it hasn’t always been a ride in the park for the father-daughter run business. We caught up with Leisa Stone, the daughter of Vito (Bill) Brancatella to hear about how Brancatella Plant Hire came to be, which was, according to Leisa, very hard work, long hours and a will to succeed. What kind of business is Brancatella Plant Hire? 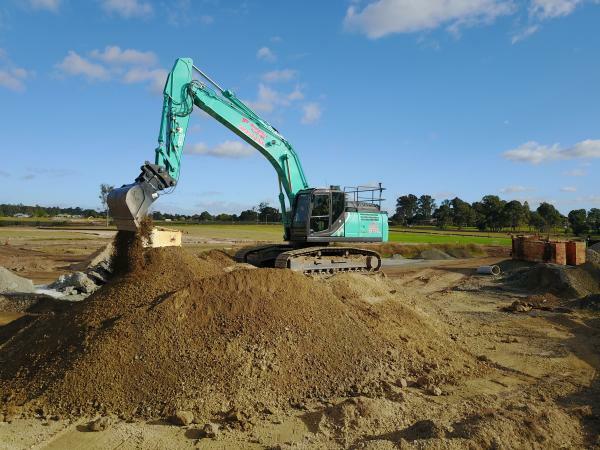 Brancatella Plant Hire is a wet hire earthmoving business operating throughout south-east Queensland. Half of our business comes from general hire and the other half is civil contracting works. Starting out with just a backhoe, the Brancatella fleet is now made up of excavators, track loaders, skid steers, backhoes, graders, drotts, bobcat combos, rollers, trucks, water trucks, truck and quads and float hire. How did Brancatella Plant Hire come about? Construction machinery wasn’t what most would have guessed my father, Bill would get in to, especially being a hairdresser by trade. When Bill and Denise moved up to Brisbane from Melbourne back in 1968, he was working three jobs to support his soon-to-be family of three. Bill was cutting hair by day and cleaning offices by night. During one of his cleaning shifts, he was in the laundry room and got talking to another gentleman. He asked him what he did for work and he informed Bill he laid new sewer mains for the council, earning him money Bill had never dreamt of. There happened to be a job going which the gentleman was happy to put Bill’s name forward for and the next week he hung up the scissors and began his first labouring job. Bill moved around a bit; working for the council he learned how to operate an excavator. He then moved onto detailing cars for a stint – to a foreman for a pipe-jacking company and finally working as a backhoe operator for a gas company. After a year operating the backhoe, Bill was given the opportunity to purchase the used machine. He applied to a number of banks to get the finance but was refused each time due to no collateral. Finally, Bill caught his break; NAB was willing to give him a chance. They loaned him the money for the backhoe and V & DM Brancatella was born. Once Bill had that first machine, he didn’t stop, working seven days a week more often than not. He would always be looking for more work. Eventually, he landed a contract with one of the gas companies, who were looking for two machines. So he went back to NAB and got a loan for a second machine. From there he continued to expand, slowly growing the Brancatella fleet. The organisation currently has a hire fleet of more than 80 machines. How did you come to work in the family business? It wasn’t until I was about 20 years old that dad asked if I would be interested in helping him and mum. The business had about eight machines at that stage and they needed a hand with answering phones and doing the accounts ... both of which I had no experience in. But just like dad, I was a hard worker and never turned down a challenge. Knowing nothing about accounts when I started, I’d spend hours teaching myself everything, how to do profit and loss statements, invoicing and writing up new plans to buy more equipment. I started out just wanting to help dad but then I could see great potential and wanted to grow it. I had grand plans which dad didn’t always listen to. It was a tough situation, being a girl in an Italian family; traditionally women weren’t meant to work but I didn’t let that stop me. I got some things happening with dad’s approval and we grew the team from myself and another accounts lady to eight office staff and purchased several more machines and trucks. Has it been an easy ride since starting out? Absolutely not. In 2012, the business took a hit due to the GFC. I had left the business a few years prior to pursue other ventures but came back as soon as dad asked for my help. I looked over everything and saw there were many issues across the board and a lot of changes had to be made and fast. 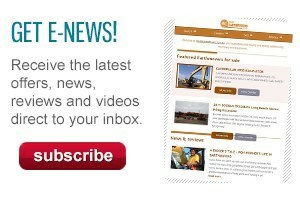 We looked at everything: changed fuel suppliers, grease suppliers, parts suppliers. It was a tough year but within 12 months we were able to cut thousands of dollars of expenses just by looking at the small things. By the end of 2013, the business was well and truly on the path to recovery. We were back in the game. 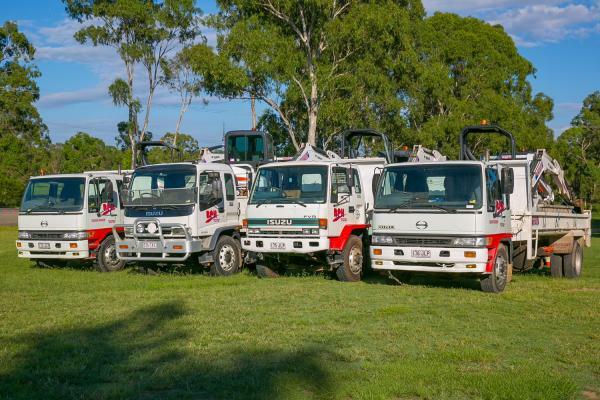 Since then, the business has continued to flourish and we now have a fleet of over 80 machines and trucks, including: excavators, track loaders, combos (mini-excavator and track loader), tandem tippers, truck and dogs, truck and quads, semi tippers, water trucks, moxies and floats for hire. What advice do you have for young men and women looking at starting a contracting business? Running a business is hard and if you want to see results you have to work hard. Don’t just take any work that comes at you; be smart in your dealings. We have turned down numerous contracts because we have received bad credit information. We are very strict with our terms and because of that stringency we do cost ourselves customers and work at times, but it’s better to be safe than sorry. Customer service should also be a priority. We like to ensure we can provide the best service before we overextend ourselves by taking on work we don’t have the capacity to fill right then and there. Many businesses are too quick to expand and that is where you can run into trouble. 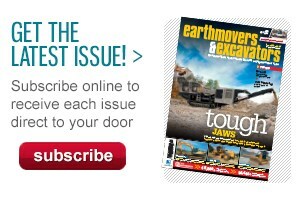 What do you recommend looking for when buying a machine? It is about so much more than the price you pay for a machine. To us, it is the aftersales service that is the most important. That means more to us than any price you pay for a machine. Bad aftersales service means downtime, loss of work and more. It’s not easy to find out what a business’s aftersales service is like, so ask those in the industry who have purchased from them and find out how quickly they respond to issues, can they get a technician on site within a reasonable amount of time, and do they have a well-stocked spare parts department. Those sorts of things could cost you more than the savings you made on buying a less-expensive machine.